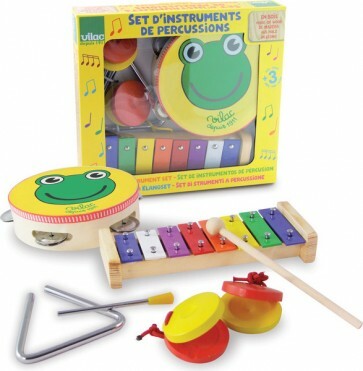 start learning about music and sounds with these musical instruments set from vilac. 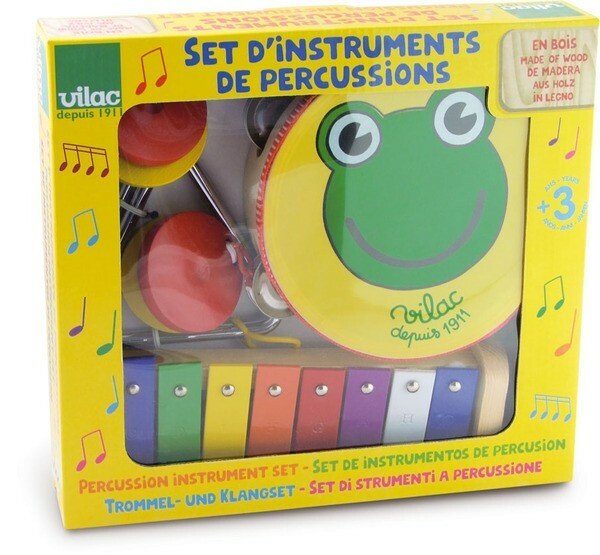 Toy Musical set by French brand Vilac include tambourine, triangle, castanets and eight-note wooden xylophone. 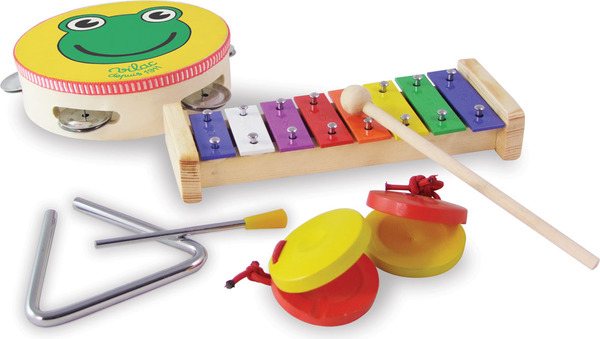 Help in developing children’s listening, cognition and coordination skills and prepare them for learning grown-up instruments later on. This set perfect for little kids to explore the joy of music.